If launching at Putah Canyon Recreation or Spanish Flat Recreation customer must pay launch fee. If launching from Oak Shores no launch fee will be charged. Lake Berryessa is a beautiful, scenic 40-minute drive from the Napa Valley, and 1 hour and 45 minutes from the San Francisco Bay Area. 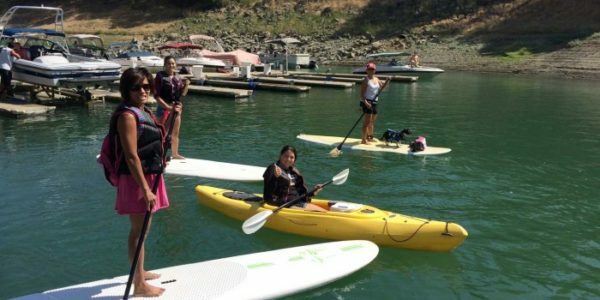 Why not make the most of your Napa Valley vacation by paddle boarding on Lake Berryessa? 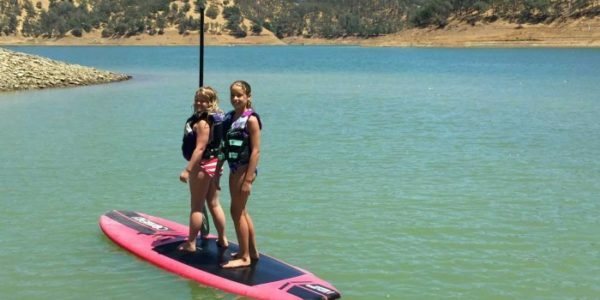 Lake Berryessa offers some of the best standup paddle boarding (SUP) conditions, suitable for beginners and the more experienced standup Paddle boarders. 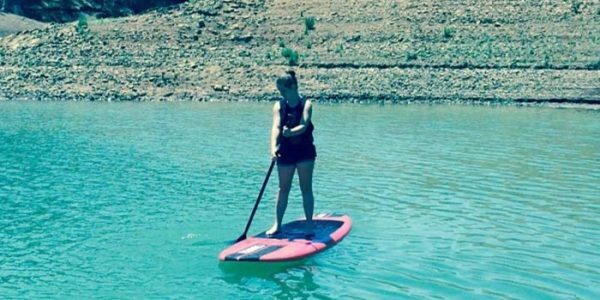 Spend time paddle boarding on the warm waters of Lake Berryessa to improve your balance and core body strength. Not only can this be considered an excellent aerobic workout, there is little risk of hurting yourself if you fall into the warm water. The breathtaking views are unbelievable! 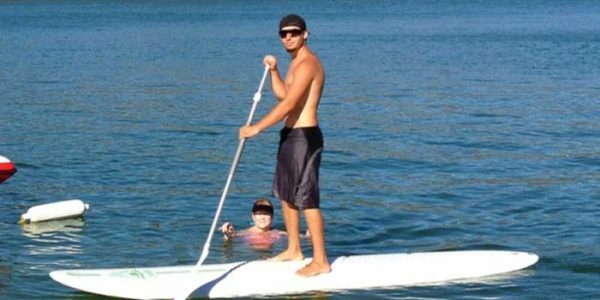 Paddle Boarding is easy and fun for the whole family and is one of the fastest growing sports in California. We will give you some easy instructions and some simple rules and regulations to follow and you will be on your way. Lake Berryessa provides a beautiful setting for sightseeing and for enjoying the beautiful lake. You will most likely see some geese swimming around and osprey and eagles flying overhead. You may even see an Otter or two playing on the shoreline. Oak Shores Day Use Area is the ideal location to launch your paddle board or kayak. The water area between Oak Shores and Smittle Creek Day Use Areas is non-motorized and peaceful and the safest place for paddle boarding and kayaking. Putah Creek, which extends from Putah Creek Recreation Area/Campground is a six mile long area protected from the wind, which makes it a wonderful place to go paddle boarding, kayaking and swimming, as well as wakeboarding, water skiing, wake surfing, and jet skiing, or taking in the sights on a pontoon boat. It is undoubtedly one of the most beautiful areas at Lake Berryessa. 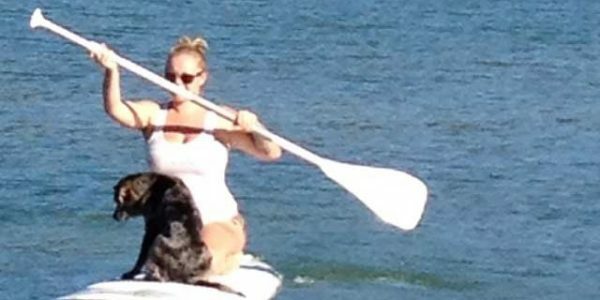 Combining a paddleboard or kayak with your pontoon boat / patio boat rental can offer options for your friends and family while anchored in a secluded cove. We recommend staying close to shore or finding a secluded cove out of the way of motorized boating to be the safest. We do not recommend going out into the main body of water or the channels. Call us for Information at 707-966-4204 or Reservations at 707-966-4205.